Is it true, you ask? 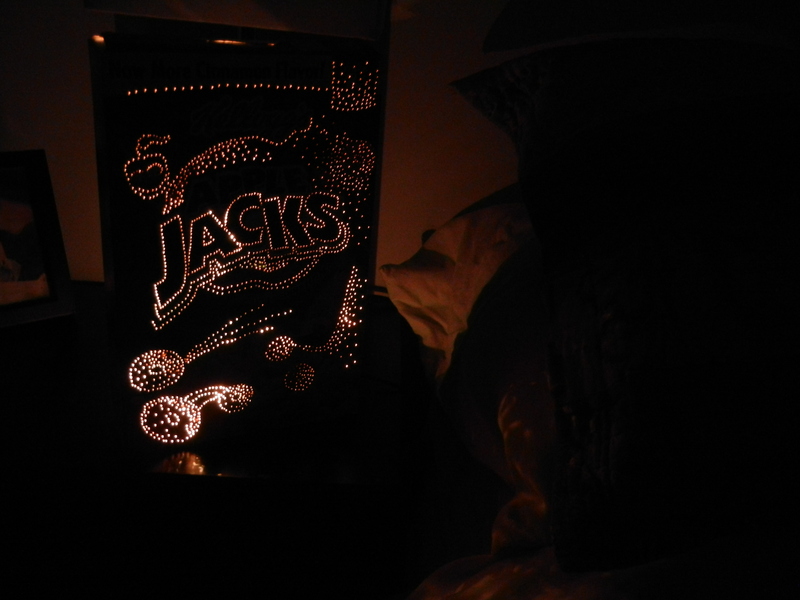 Is it really true that with just a cereal box, a pushpin, and a string of lights I can make something incredibly, incredibly nifty? 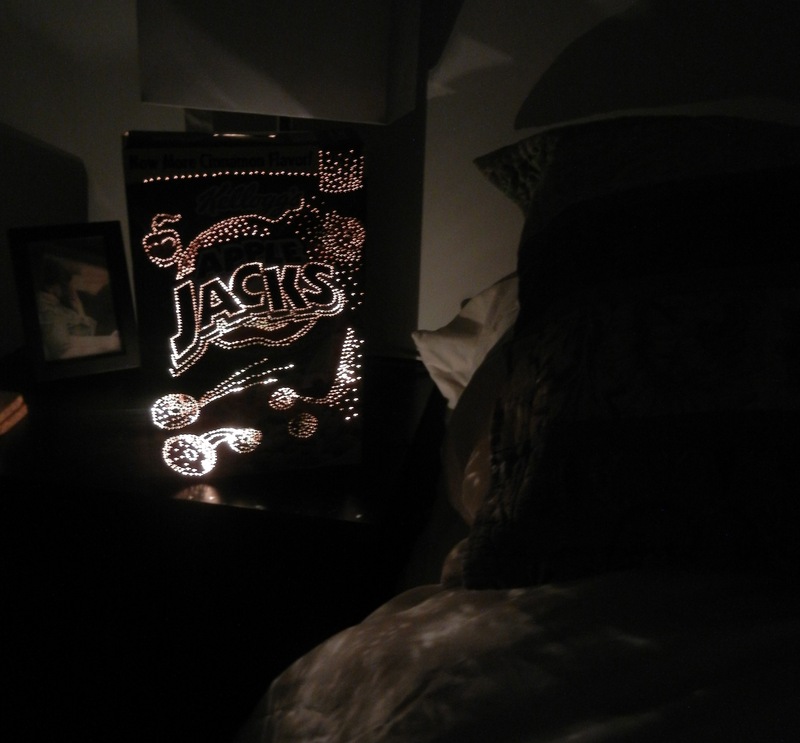 Is it true that this nifty thing can serve as a homemade gift, a fender-offer of monsters below the bed, and a task that will keep my child occupied for a fairly long time? All these things, my friend, are true. I mean, that’s pretty impressive. And not at all difficult to achieve. 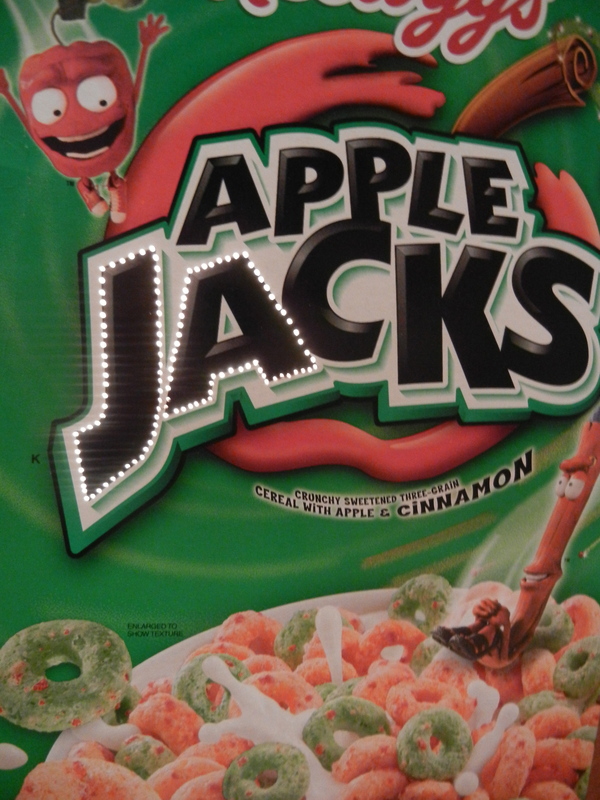 He returned with Apple Jacks. 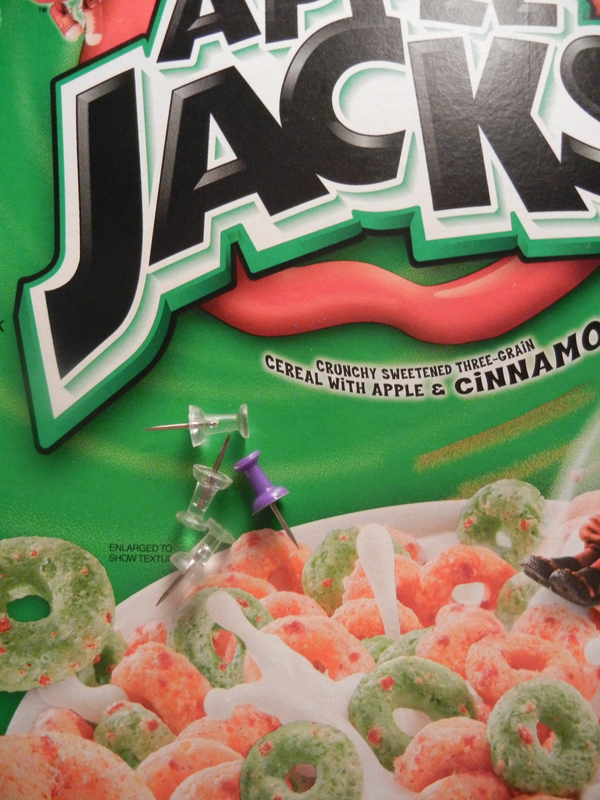 Punching holes in cereal boxes is really easy. 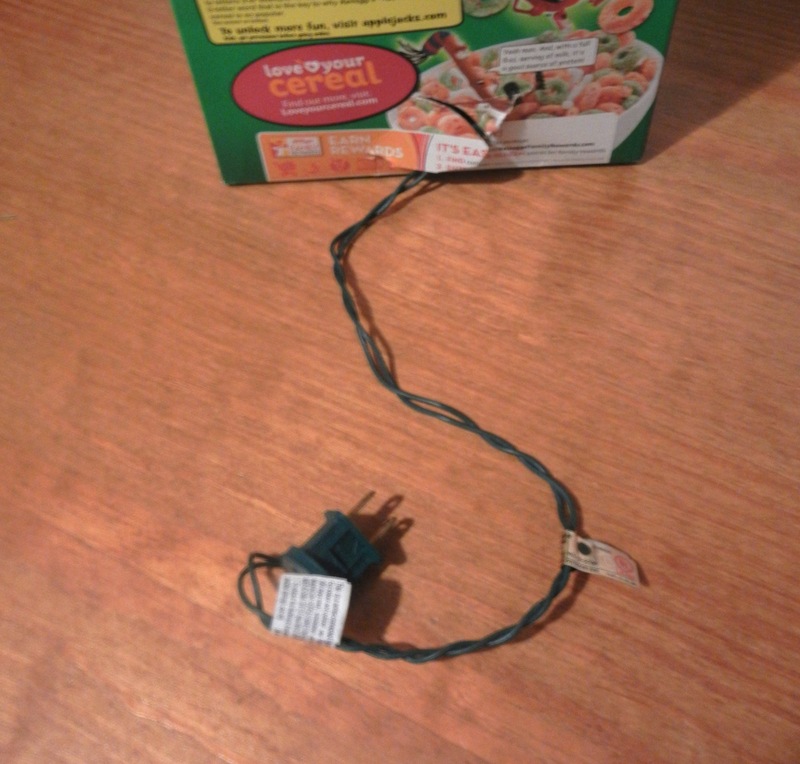 The cardboard is thin and the box is fairly sturdy. I followed the lines of the letters and shapes, then punched all around that, trying to make it look ‘sparkly’. 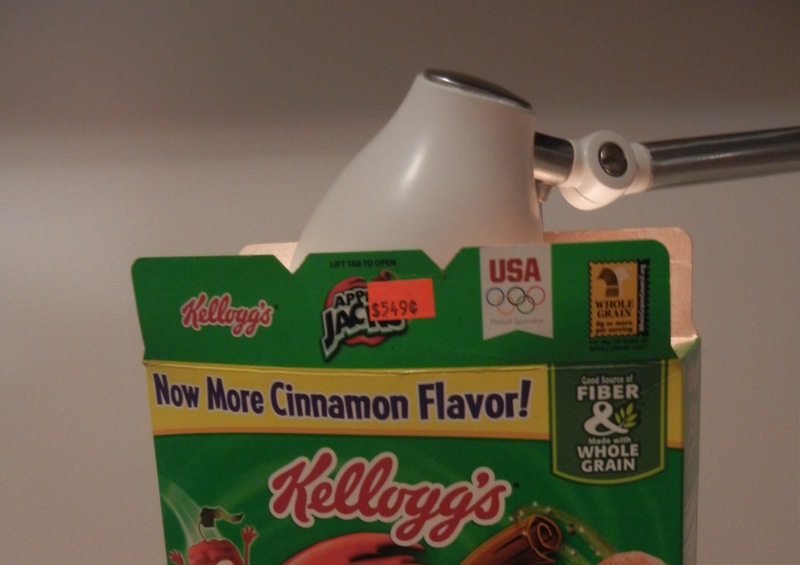 After a couple of letters, I wondered if this was actually going to work – the holes seemed awfully tiny. And behold! It was working! I continued my pushpin journey, and learned one important lesson: too many pinpricks too close together means your shape will fall in. Be wary with your spacing. Another lesson: while this is pretty fun, it can get tedious if you try to complete your whole design at once. Spread this out over several days – or keep as an ongoing project to fill those “I really need ten minutes of time to myself” spots in your day. One of the things that’s nice about this project is that the artistically advanced can plan ahead, penciling in swirls and designs of their own, using or ignoring the box design as they see fit. The rest of us can achieve just as nice a result by gleefully punching away, sometimes following the design, sometimes madly scampering out on our own. 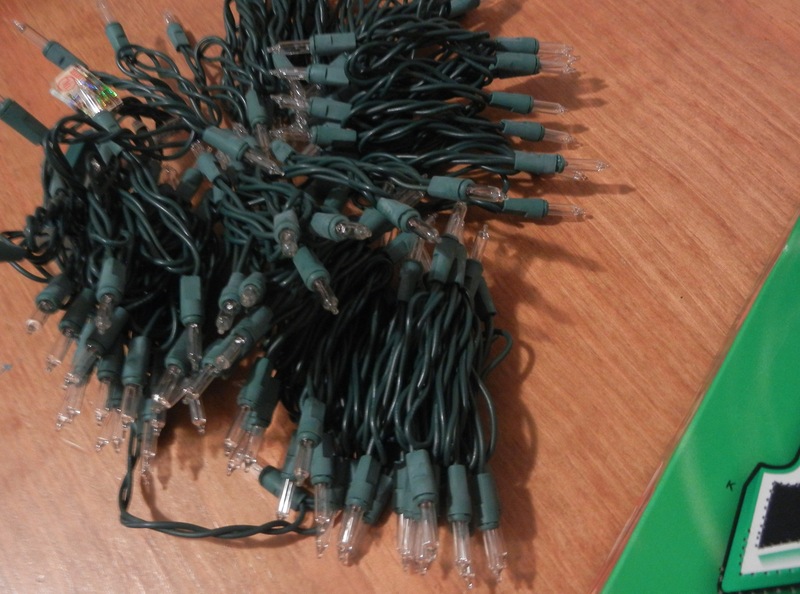 My final design achieved (and the deadline for posting rapidly approaching), I dug out my box of holiday decorations and found a working string of lights. 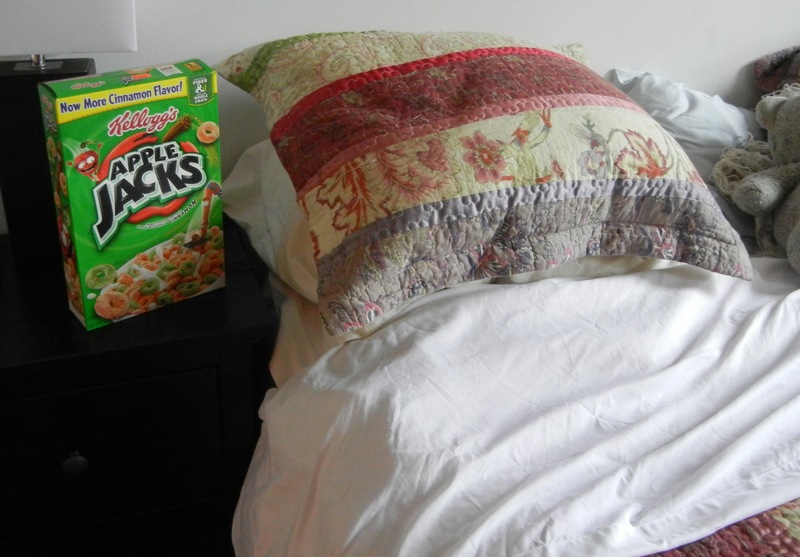 I love that it will look like I keep a box of cereal next to the kids bed during the day! Great timing, as we have been needing an under the bed fender-offer. I definitely recommend a box with a friendlier character for fending purposes. 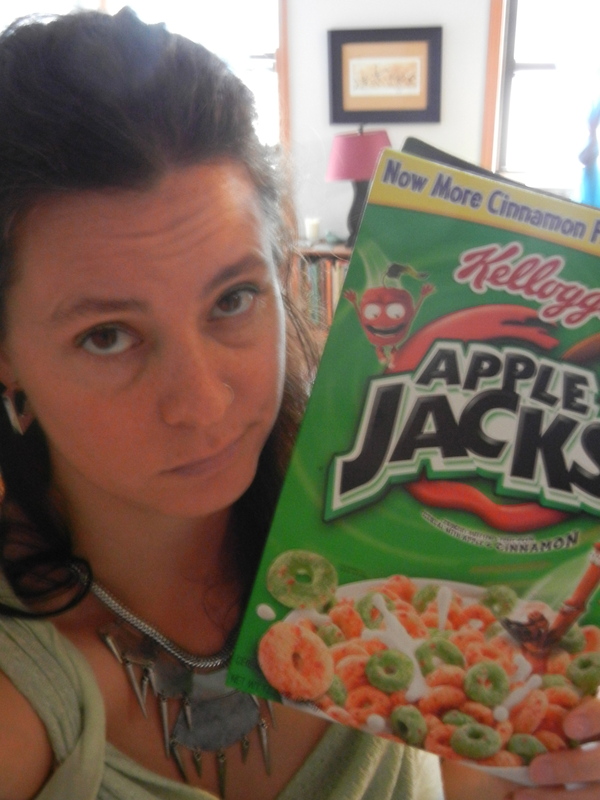 That big-eyed apple gives me the heebies. Previous Previous post: Liebster Awards!